Selenium Web Driver is a powerful tool to do web based automation. It has seamless integration with different test management tools like ALM, etc.. It can also be used along with Appium for mobile and tablet automation for different platforms like android and ios. Definitely you should use Webdriver if you are testing web applications. Much robust and stable with multiple integrations to 3rd party tools. Saves lot of Manual hours and efforts by running automation scripts on a daily basis for the smoke and regression tests. "Focus on testing, not on coding "
"First unit-testing software I used for a web page"
The possibilities. Even hovers. You can do virtually everything with Selenium on python. I even used to connect to +1.000 routers which had no API and had to do something to every router. It was a real pleasure to work with such strong software. Even the things that seem impossible to do, they are easily done in Selenium. Maybe I would say the difficulty to find the right thing to do when scraping/testing a website. The possibilities are too wide that sometimes you find yourself more searching than writing. The last time I used it was for the project we had. We had a massive hacking attack and we had to change the password for +1000 routers at their homes. So we used selenium, so instead of weeks, we finished the work in 1 or 2 days. There are endless possibilities with Selenium. I ran across Selenium while I was working on an assignment that should have taken weeks but with Selenium I finished it in two days! 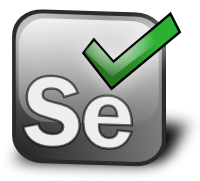 Now I use Selenium for many other projects. It has saved a lot of time for many of our projects. It can be difficult to access external web applications but it is not impossible. If you run into a problem, there most likely is an answer. Use the internet to look up your questions because it is quite useful. We had to retrieve images from a website with about a hundred thousand images and instead of doing it manually, we ran the Selenium software and it saved our time by locally downloading these images to our computer! "Easy to automate Test cases in Python with selinium"
We can create our reusable test script and saved our lots of time of human resources and execute multiple test scripts parallel with fast execution speed with reliable outputs. It througn Error and not able to automate it but after remove those API from my project . It is working fine ,Its means some of API not supported by Python eclipse . We did some of our testing with Python Selinium test script and saved our time by execute the multiple test script parallely and got accurate result so not need to spend and waste time to do it Manualy. "The pros and cons of python selenium"
It is easy for coding and also easily readable>So there is less training cost. Maintaining test scripts with Python is easy. I run regression test suite for new releases and report the bugs found.This gives testers in our team including me time to focus on testing new features and try out edge test cases.We can focus on UI/UX and also perform exploratory testing. When there is an urgent release planned we can run the sanity test suite to make sure the basic functionalities in our app are working fine. "I use this software at my work"
The guide included is very long . Some of the components are not used and are there which makes it little difficult for the person who is beginner to work with. It only works for python language if you want to use other language you cannot use this software. The benefits I have realized is that it has some already written test cases which we use frequently in our work . These are long and by using this software you don’t have to write them. This fulfills all of the testing needs of the company. The tools are great. The amount of browsers supported is amazing. Nothing to dislike but the product does require a lot of training to be able to use it properly. You will have to invest in training hours, but it will definitely pay off in the long run for the company. We can easily test code before releasing it to ensure no bugs are present. "It makes scraping data easy." It lets you automate the interaction with a web browser. The web browser can be google chrome, firefox etc. It provides multiple languages to automate the interaction such as python, C# etc. You can control your browser using Python script. Selenium python API is very user-friendly. If data size to scrap is big the selenium is bit slow than other tools like scrapy. Must try it out for their use case. Scrapped news articles for building news tagging website. "Great Tool 'Selenium' for automation testing "
Best Tool for Testing Automation and hookup with Jenkin. "Test case automation in Python with Selenium"
Is very useful for the automation of test case in the most used web browsers. Is very simple automate test cases using Python Selenium. I had have some problems automating web pages developed with Polymer. I have automated many test cases using Python Selenium. You can run many test case at the same time, and you do not need people for do this manually. "Phython Building vs Java for selenium"
It is a easy to script testing tool. With easy Maintaining for testing of software. It have various inbuilt utilities which a user can experience easily. It is not used widely as Java binding selenium. As per Java it is less documented and usage. If project uses DJango for the webdevelopment the developers assists with python based selenium. "Easy Selenium with Python "
* We monitor all Selenium WebDriver reviews to prevent fraudulent reviews and keep review quality high. We do not post reviews by company employees or direct competitors. Validated reviews require the user to submit a screenshot of the product containing their user ID, in order to verify a user is an actual user of the product. Hi there! Are you looking to implement a solution like Selenium WebDriver?